We previously showed that topical application of hexoses such as fructose accelerates barrier recovery after disruption. We also showed that various hexoses and polyols interact with phospholipid and alter the phase transition temperature. Thus, we hypothesized that the improvement of barrier recovery by hexoses and polyols might be related to the interaction with phospholipid. Here, we tested this idea by examining the effects of xylitol (a component of some skin-care products) and fructose on lipid dynamics in an epidermal-equivalent model at the single-cell level by means of two-photon microscopy after staining with Laurdan, a fluorescent dye sensitive to the physical properties of its membrane environment. 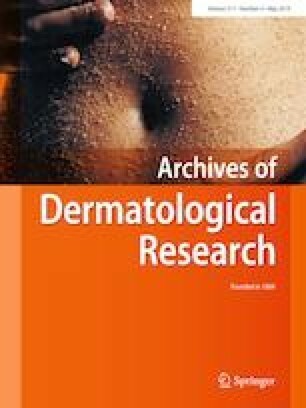 First, we confirmed that topical application of xylitol aqueous solution on tape-stripped human skin accelerated barrier recovery. Then, we examined changes of lipid fluidity in the epidermal-equivalent model after application of water or an aqueous solution of xylitol or fructose. Application of xylitol and/or fructose increased the lipid fluidity in the uppermost part of the stratum granulosum layer, compared to treatment with water alone, and accelerated the exocytosis of lamellar bodies to the intercellular domain between stratum corneum and stratum granulosum. Our results support the idea that the improvement of epidermal barrier homeostasis upon topical application of xylitol or fructose is due to increased lipid fluidity in the uppermost layer of the stratum granulosum, which enables accelerated release of lipid from the stratum granulosum, thereby improving the lamellar structure and accelerating epidermal permeability barrier recovery. The online version of this article ( https://doi.org/10.1007/s00403-019-01905-0) contains supplementary material, which is available to authorized users. We appreciate the feedback offered by Dr. Makiko Goto (Shiseido Global Innovation Center). This work was supported by JST CREST Grant Number JPMJCR15D2, Japan. The protocol was approved by the ethics committees of Shiseido Research Center, and was in accordance with the National Institute of Health guideline and Declaration of Helsinki principles. Informed consent was obtained from all individual participants.